Today, Reliance Industries chairman, Mukesh Ambani on the occasion of 40th AGM (Annual General Meeting) addressed the company’s shareholders. It is the 40th anniversary of Reliance Industries and also 40 years of glorious history & success. He also gave some amazing facts and records about Reliance Industries. The entire event was covered with VR or Virtual Reality, which made Reliance the first company in the world to do this. Yeah, we all know only Reliance can do this and when it comes to set records, Reliance is always first. The Reliance Annual General Meeting was broadcasted live for the first time in history on VR. Any People with VR device and compatible smartphone can watch entire event. 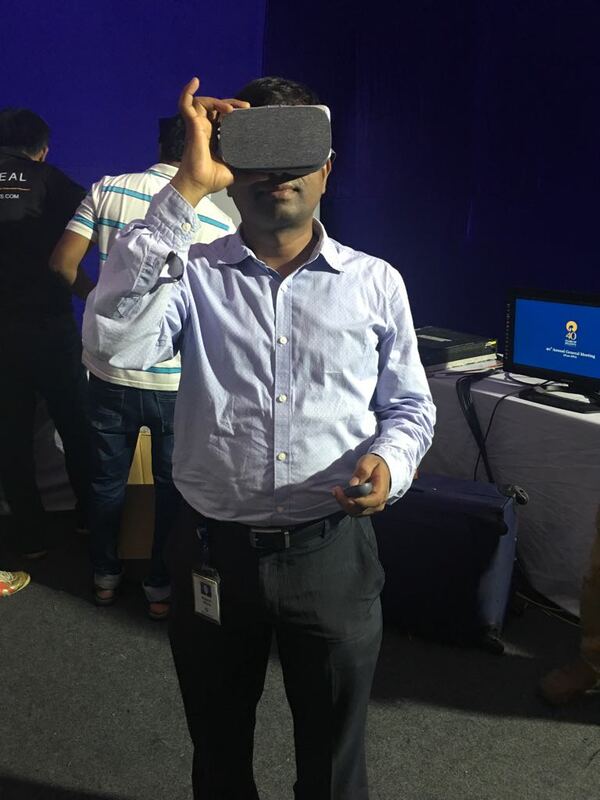 Apart from this Reliance had VR Stations setup across its various offices so that their employees can watch live event from their offices.This step is possibly taken, so that their employees can get access to the new revolutionary tech VR. As per Sources, there was 40,000 people watching this AGM live using their VR devices from general public and 6000+ employees of Reliance too was watching from VR zones. 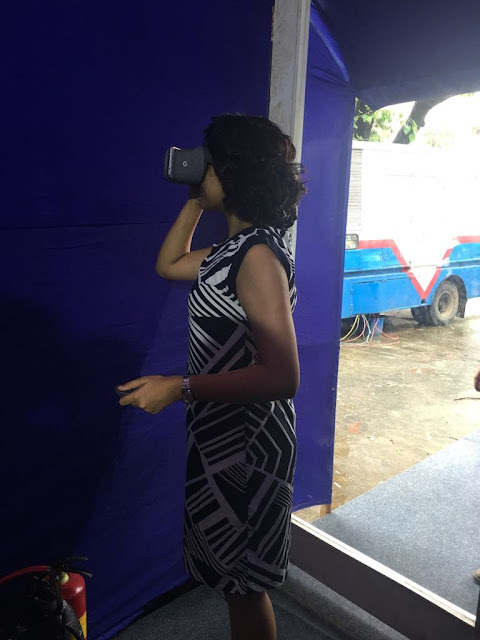 This is a big step taken by Reliance as VR is not so popular in India. Here are some pictures of reliance employees watching Reliance AGM live using VR headset. On the auspicious occasion of 40th anniversary, Reliance Industries again proved that they are always ahead of others when it comes to introduce innovative things. Today, broadcast of entire AGM in VR is a big initiative by Reliance industries and this also promotes the latest VR technology which most of the people are not aware of. With this step, Reliance is helped India become more digital. Reliance industries always tried and trying to make India more digital and advanced. Mukesh Ambani said, west did in 300 years and china did in 30 years and we can do it in just one or two decades. People of India and Jio together made India worlds most mobile data consumption country. Soon 99% of people will be using 4G instead of 2G. Launch of Jio phone that is most affordable 4G feature phone. Turnover increased by 4700 times since last 40 years. "In just 4 decades, Reliance has grown from a small startup to one of the largest, most admired companies in the world," Mukesh Ambani said. On an average, Jio added 7 customers per second and have over 125million subscribers says Mukesh Ambani. India was 155th ranked in the world in mobile broadband penetration but now after the launch of Jio, India is ranking on top.